What have you been doing radio wise this weekend? On the constant effort to improve our stations I popped over to Martins to help him with some adjustments and put into action another of his fabulous ideas. First off the Hex beam wires were a bit loose. He said I had put them on twisted….but you know that can’t have been true. It blamed it on the pigeons. As it turned out it wasn’t even them. 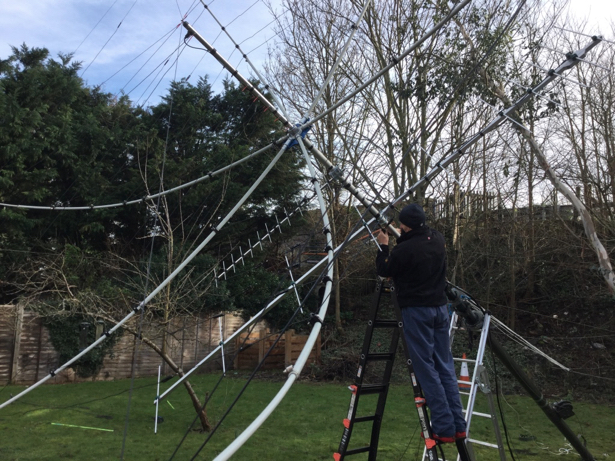 Some of the wires were just a bit loose and to deal with that the chaps who make the hex beam supply a cord to pull two of the arms together so having exonerated myself from the twisted wire slander we set about lowering the mast to effect the fix. which was pretty easy once we had worked out how to lean the mast over without the use of hard hats. Then to deal with the main issue. We both have spid rotators and you will (I am sure) have read my post about the problems that I had with the controller. 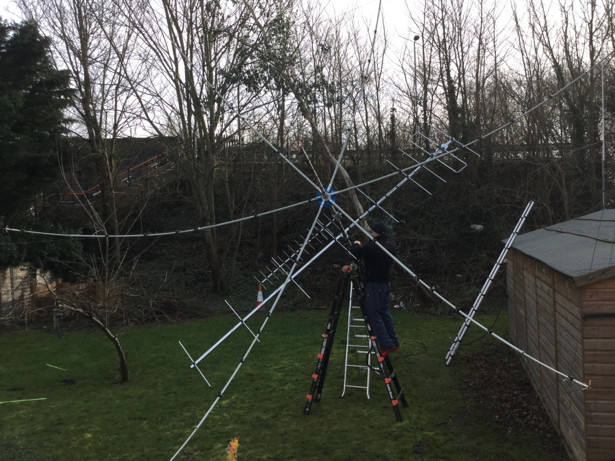 Well Martin has the same issues and a combination of this and the mast being able to rotate on its own left him with three severed RF cables. So, he thought, you need some way to monitor the mast and check it is pointing in the right direction and not wrapping itself up. 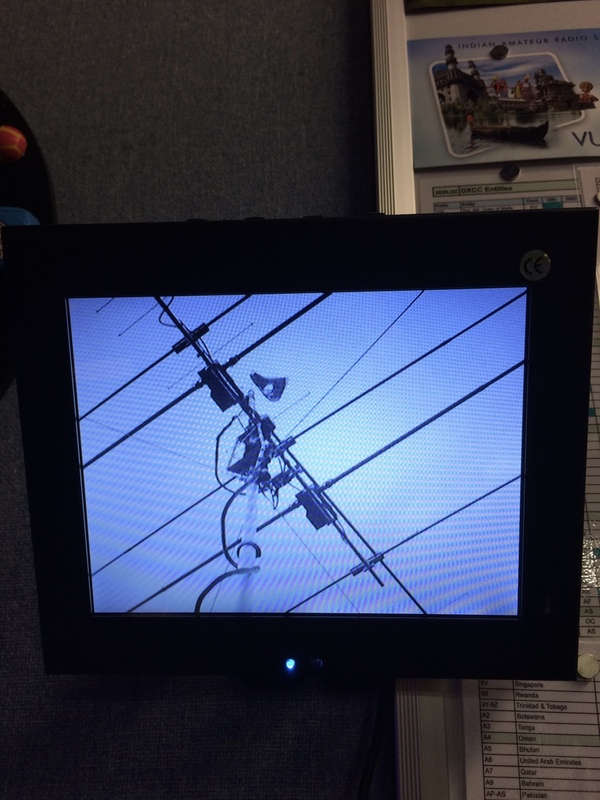 CCTV for aerials. That’d the answer, And the next big thing in amateur radio I predict. Bullet Cam on the end of the roof, monitor in the shack. Adjust the camera to that north is up and flip the image so that it rotates on the screen to match the compass rose. This is taken after dusk. the low light performance is so good. Martin might even be able to spot the pigeons tying his hex beam up in knots !! !